The new Nexus 7 is just out of the sheets, and being one of the show-stopper devices nowadays and it seems that it will be on the markets for long. But as you know, competition is inevitable. So why should others lag behind? After the reports of three impending Amazon Kindle Fire HD tablets, we now have the full specifications of these devices. 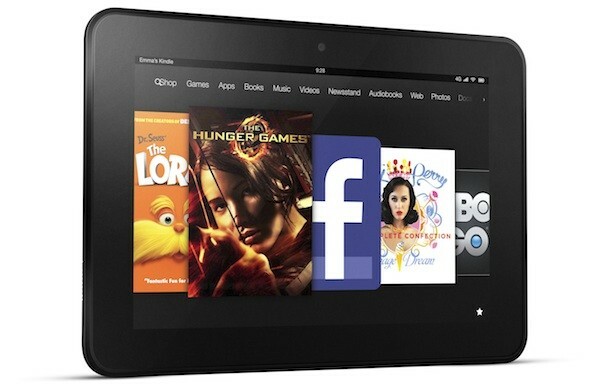 It looks like it is the turn of next big Android tablet to grab the news headlines – the next-generation Amazon Kindle Fire HD. According to an exclusive report from BGR, Amazon’s new Kindle would be powered by the Qualcomm Snapdragon 800 quad-core processor, the crème de la crème of current mobile SoC crop. Among the other main specifications, it will come with 2 GB RAM, front camera, Wi-Fi, cellular connectivity support, and a custom version of Android 4.2.2. We have known about the 1920×1200 7-inch display for some time now. Similarly, the next Amazon Kindle Fire HD 8.9 tablet will also come with Snapdragon 800, Android 4.2.2, front camera and 2GB of RAM. Wi-fi and 3G would have a presence onboard, but the most interesting part is of inclusion of a rear 8 MP Camera. The display resolution is expected to be around 2560×1600. Overall, the design and layout has been changed and modified considerably. BGR notes that its source tells that the bezel on 7-inch tablet is said to be around half-inch whereas, it is about three-quarters of an inch wide on 8.9-inch version. The entry level-Kindle is still a mystery, but it is expected to be coming in 8/16/32GB internal storage sizes, while the other two tablets will be sold in 16/ 32/ 64GB variants. If these specifications are indeed true, then it is nonetheless one of the next-generation tablets to be made by Amazon and would really give a tough competition to Google’s Nexus 7 and Nexus 10. If the whole Kindle-Saga turns out to be true, then it is for sure, that it would steal some bunch of customers from Google’s tent. The exact launch date is not confirmed, but it is expected to be around in September. Previous: Cheapest Android Phone of Good Quality? Next: Android Fragmentation – Is It Still a Major Issue?